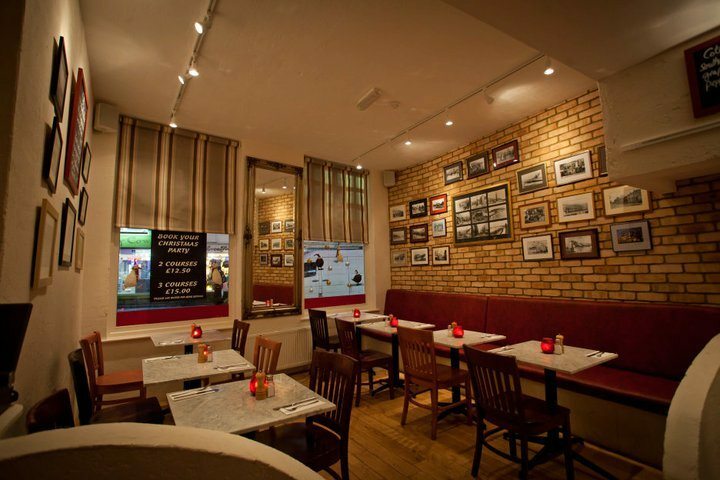 The Old Bank is a real gem of a restaurant nestled in the heart of Kemptown. It used to be a branch of Barclays bank, hence the name, but has been a top notch eatery for the last five years. Owned by Steven and Sheila Rawlins and clearly very well run by general manager Aksana Green, The Old Bank has been voted in the top ten Brighton restaurants in the Foodie Awards. As is typical of buildings that used to be banks there are lovely high ceilings, which together with large windows make the restaurant very light and airy. There are beautiful natural wooden floors and the bare brick walls create the perfect backdrop for their collection of fantastic historic black and white photos. Red accents in the lights and seating and attractive lighting complete the bright and cheerful décor.As you can probably tell by the name of the restaurant, steak and ribs are what it’s all about here. For their steaks they use only the best British beef, which is hung for at least 28 days and then lovingly cooked over an open flame grill. Their baby back pork ribs are steamed to tenderize them then marinated for 24 hours. 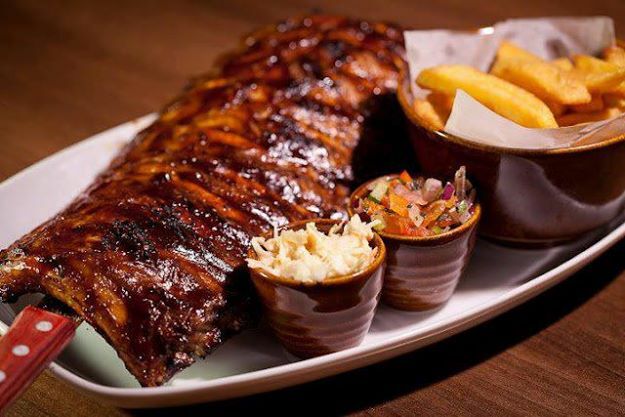 The ribs are then grilled to perfection whilst being basted in their delicious, signature sweet and sour barbecue sauce. There are a couple of vegetarian options for those herbivores forced to accompany their carnivorous friends. There is a children’s menu and they also do Sunday roasts with all the trimmings. A great value “Early Bird” set menu is available on Saturdays 12-5pm and Monday-Friday 5-7pm and offers 2 courses for £11.95 or three for £13.95. Check out their website for details of weekly promotions for more great value offers. You can also order food for delivery via Dinner2Go and if you’re stuck for a gift idea you can’t go far wrong with a slap-up meal’s worth of The Old Bank’s gift vouchers. The wine list includes a great selection recommended by local vintner Henry Butler. 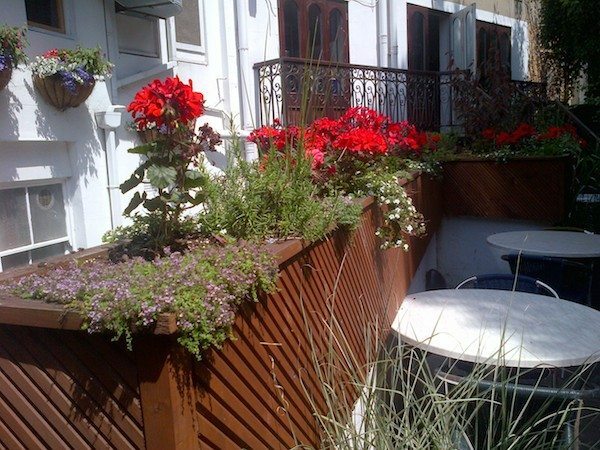 We were served by the fabulous Alex and the service was excellent; warm, friendly courteous and efficient. Everything was spotless and highly polished. 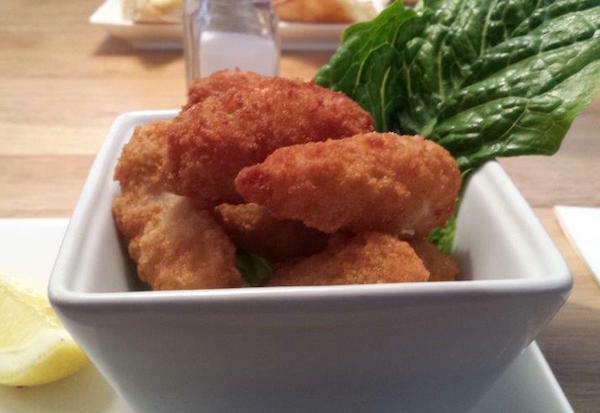 To start my husband had the scampi, deep-fried breaded Dublin Bay prawns served with tartare sauce. They were crunchy, hot, juicy and scrumptious and I don’t even particularly like prawns. The accompanying tartare sauce was lovely too, thick, creamy and tangy. I had the garlic ciabatta topped with cheese. The bread was obviously very fresh. It had crispy edges and was soft and warm in the middle. It was positively dripping with intensely garlicky butter and very generously topped with delicious cheese. After our starters we were already glowing with pleasure and very much looking forward to the rest of our meal. 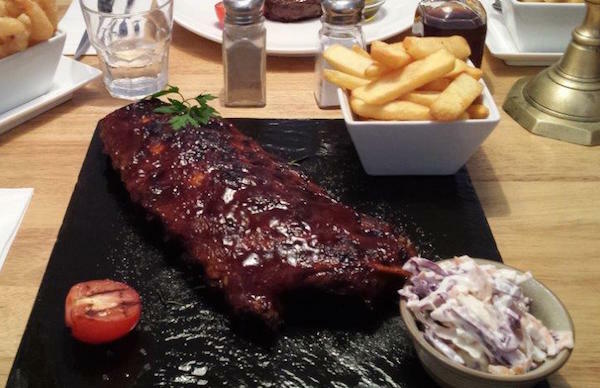 For his main course my husband opted for the full rack of ribs, which is served with coleslaw and a side of your choice. My husband had his with steak chips and also ordered a side of onion rings. The ribs were fall off the bone tender but not completely texture-less and the barbecue sauce, with which they were generously coated, was de-lish! My husband was provided with extra napkins and a finger bowl. Good job too, as he wolfed his meal down with such gusto he would have left liberally pasted in barbecue sauce otherwise. Although they were served on a slate, which I know many people dislike, it worked well as there was nothing runny that could have flowed off the edge and it did look spectacular. We concluded that these were the best ribs we’d had in years and certainly the best ribs we’d ever had in Brighton. My main did come with a sauce and was accordingly served on a suitable plate. 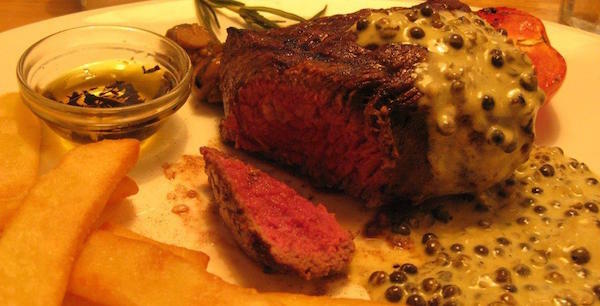 I had the 200g fillet steak with peppercorn sauce. I could also have chosen garlic butter, Bearnaise, Louisiana hot sauce, barbecue sauce or blue cheese. For my included side I ordered steak chips and I also ordered a side of garlic mushrooms. The steak was cooked to perfection! I asked for medium rare and medium rare was exactly what I got. 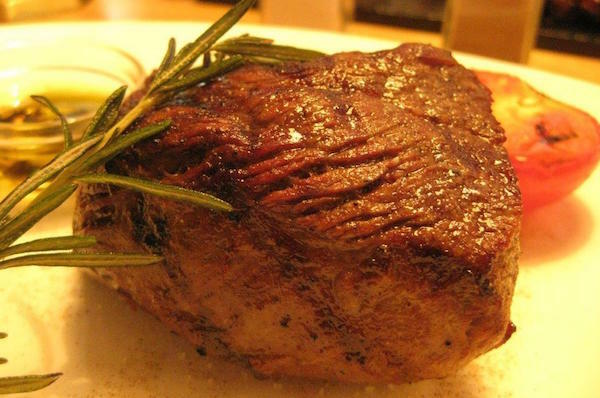 It was a great chunk of gloriously sumptuous beef treated with great respect and as a result was an absolute joy. It was succulent, juicy, lightly caramelised on the outside and perfectly seasoned. The peppercorn sauce was also fantastic, beautifully creamy and fiery hot with green peppercorns. The chips were perfectly cooked as were the juicy garlicky mushrooms. All of our food arrived steaming hot and the portion sizes were very generous. We washed our excellent meal down with a lovely light Pinot Grigio. The chilled music set just the right tone and the seats were incredibly comfortable, so in between courses we were able to just sit back, relax and gently expand. After a pause to let things settle a little we chose our desserts. 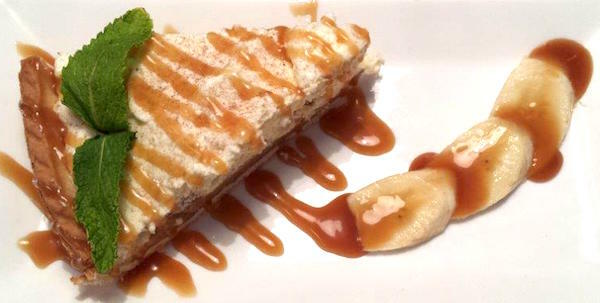 My husband had his heart set on the caramel apple pie but sadly it was not available that day so he ended up choosing the banoffee pie instead and it was lovely. It was rich and creamy and sticky with caramel. I went for the chocolate brownie which was served warm with vanilla ice cream. It was decadent, sweet and sticky with a nutty kick and looked a real treat on the plate with a spectacularly glossy finish. The soft smooth ice cream was the perfect accompaniment. I can’t think of a single thing to criticise. Even a visit to the bathroom was fun due to the ridiculously powerful hand dryer, which I could have played with for ages if I wasn’t so stuffed that I needed to sit down. Suffice to say we waddled out of there incredibly happy customers and will definitely be going back with friends!